With the introduction of K-12, De La Salle University saw a unique opportunity to reimagine its university curriculum. Its academic departments have spent the last two years designing their post K-12 curricula that will be implemented starting A.Y. 2018-2019. The new programs demonstrate La Salle’s commitments to post-K12 university student: degree programs that are modern, future-proof, and rooted in the best traditions of Lasallian education. The new college curricula also offer flexibility, depending on the students’ level of preparedness. Those who have undergone more rigorous senior high school preparation may be exempted from certain foundation courses through the LEAP. What is the Lasallian Examination for Advance Placement (LEAP)? It is an optional placement exam that highly-qualified applicants who are accepted for admission in A.Y. 2019-2020 may take. They can be exempted from taking foundation courses if they pass the subject-area-specific placement exams prescribed under their respective degree programs. 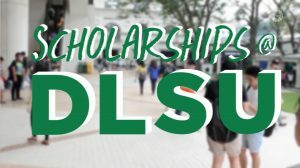 What are the DLSU foundation courses? The foundation courses across all disciplines are: PreCalculus, Biology, Chemistry, Physics, Applied Economics, ABM, Business Finance, Organization & Management, and Marketing. There are 2 to 5 courses depending on the degree program. Can I be exempted from taking the foundation courses, and consequently, there is no need to take placement exam? If I am a strand-shifter (SHS strand is different from the strand/discipline of the College degree), will I be required to take the foundation courses? If I am exempted, what are my next steps? If I want to register to take the LEAP, what must be done? 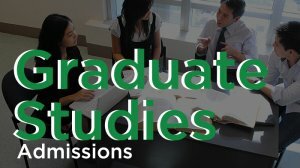 https://my.dlsu.edu.ph/admissions/undergraduate/placementexam from May 01 to 30, 2019. Is there a fee for taking the LEAP? Yes, the testing fee is P100 per subject. Testing fee for applicants from public high schools will be waived. Payment of testing fee may be made over-the-counter at the banks or through online credit card. Once paid, the fee is no longer refundable. How would I know the subject areas that I should be tested on? It will be automatically determined by the system based on your degree program during online registration for LEAP. What is the duration of each subject area test? Each test will take a maximum of two (2) hours to finish. The LEAP is scheduled in June 2019. Specific date, time and venue will be given during online registration. To register for the LEAP, kindly access the DLSU website starting 01 May 2019.